Are you on the ‘Making a Murderer’ train yet? I swear it’s the only thing people are talking about at my gym right now. There’s no chance of entering a conversation that doesn’t utter the words “Steven Avery.” Luckily, I’m on the train so I have something to connect with people about. Sad, but true. Let’s talk about this. Because this sh*t is so confusing. So SPOILER ALERT if you haven’t seen the whole season yet, turn away. Honestly, after I finished the season, I started looking up Buzzfeed articles and reading about other suspects. You finish the season and you’re just not satisfied. There’s just no way to feel 100% about him killing anyone. WHO TO BELIEVE. It felt like so many pieces were left out the entire time. And then you’re left there, on the couch, wondering how many other people are in jail for a crime they didn’t commit. That’s a frightening thought. You know what I hated the most during all 10 episodes? The prosecutor. His voice is one of the creepiest voices I’ve ever heard. On more than one occasion, I mentioned to my fiancé that he is totally molester. No doubt in my mind. And BOOM, he gets fired for sending gross text messages to a minor that was from a domestic abuse case he was working on. How gross is he? How can you trust someone like that? Ew. He’s so gross. This has become a really intense blog post. I tend to not talk about things that upset people. Like religion or politics. I leave that sh*t alone. But I still upset people by cussing. Can’t win it all. But ‘Making a Murderer’ has to be talked about it. Do you think he did it? Let’s chat this over. Before we chat, make sure to check out my two brand new, never before seen recipes that are in the Best of Paleo 2015 Ebook?! I made you guys Butternut Squash Tom Kha Gai Soup AND Triple Chocolate Pumpkin Bread! Both recipes are easy and delicious! Find those two recipes PLUS 190 other recipes in this ebook that’s only $29.95! Click here to find out more about it! Mix together all ingredients for the bulgogi and place marinade in a shallow dish. Add the thinly sliced beef, cover and place in the fridge overnight or at least for 4 hours. Remove beef from fridge 30 minutes before cooking. While the beef comes up in temperature, place cucumber along with the rest of the pickle liquid in a jar, shake, then place in the fridge for about 1 hour. Place a large sauté pan over medium heat. Add 2 tablespoons of ghee or coconut oil then remove then beef from the marinade and cook beef in a single layer, sprinkle with salt and once browned and slightly crispy, cook on other side. About 2 minutes per side. Continue until all beef is cooked. 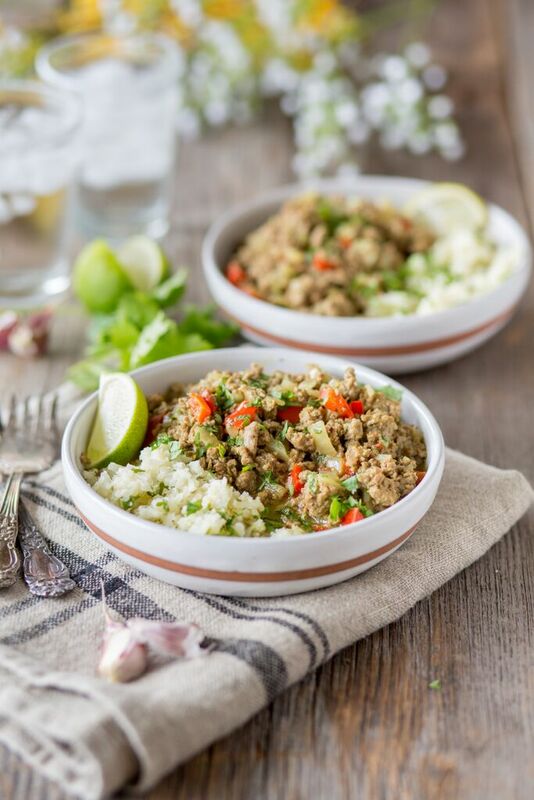 While beef is cooking, make cauliflower rice. Lastly, place a small sauté pan over low heat, add 1 tablespoon of ghee or coconut oil, and crack each egg into the pan. Cook low and slow until white are cooked through but yolks are still runny. 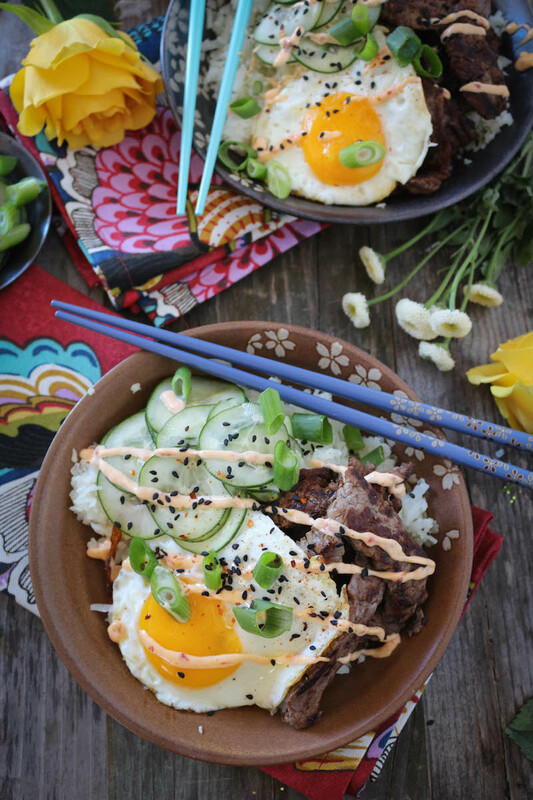 Make each bowl: cauliflower rice, beef bulgogi, egg, pickled cucumbers, sriracha mayo, green onions and sesame seeds. 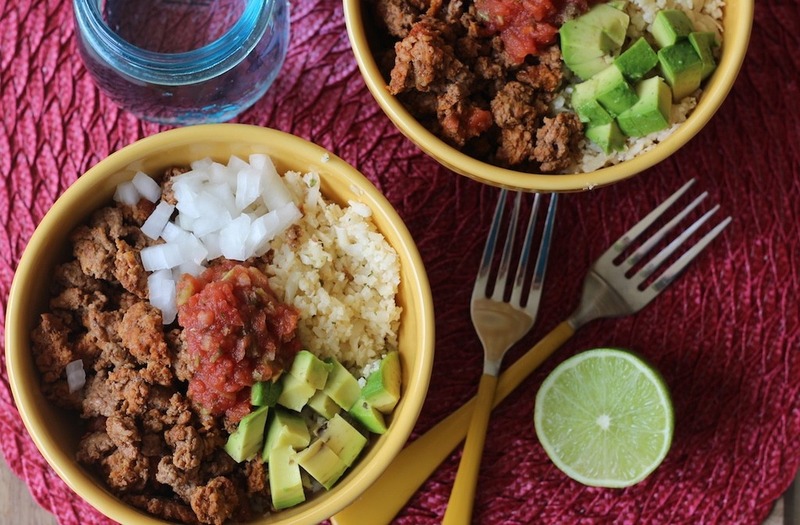 More Rice Bowls Just For you! GIRL. My boyfriend and I watched the show in 3 days and then all I wanted to do was read Making a Murderer theories online! Reddit (don’t go there, it’s a never-ending rabbit hole) has me convinced that Scott and Bobby very likely could have committed the crime. But even if you think Steven and Brendan are guilty, you pretty much have to agree that those trials were a sham. And yes, Ken is a creep. Also, this recipe looks amazing. The Reddit feed is insane. There’s a dropbox folder linked in it with the entire transcript of Brenden’s testimony (among other things). Oh my gosh my in-laws and I went through that show all New Years Eve. It was an incredibly unproductive day but you know how those Netflix binges go (#cantstopwontstop). I thought for sure Steven Avery was innocent and then I looked up all these other articles about evidence they left out of the documentary and now I’m more confused than ever. Hellpppp. EVERYONE is talking about it! I haven’t watched yet because we’re in the middle of a Game of Thrones binge (I’m only like 5 years behind, right? )… so yeah I basically skipped your whole post, thanks for warning me of the spoilers. That beef bowl looks bomb. Could you suggest a different type of vinegar for this recipe (it does not necessarily need to be paleo)? We’re about to move and I’m trying to clean out the pantry. Thank you for any suggestions! rice vinegar, if you aren’t sticking with strict paleo! I love Bulgogi! Last time I tried to make it paleo the marinade lacked something but since I didn’t measure anything I had no idea how I was going to try again. So excited to try this! Thank you! I live in east central WI so the Steven Avery saga is old news to me. I find it incredibly crazy that it’s created such a fever across the Nation. I feel so sorry for the Halbach family as they now have to relive this horror. We’ve had some crazies come out of WI that’s for sure! Hello Jeffrey Dahmer! i can’t imagine being part of her family and having everyone talking about it all over again. it’s crazy i had never heard about the case in the first place. On Episode 5 and it’s all I am thinking about. Ken is gross, I told my hubs last night he was a chimo. ICK! At least now I am thinking about dinner! Thanks for turning me onto VS sports bras and tights. Grabbed the free pair of sports pants today with purchase of the bra! Score! These bowls look so delicious! I love Korean food too–so spicy and flavorful! OMG! this looks amazing! 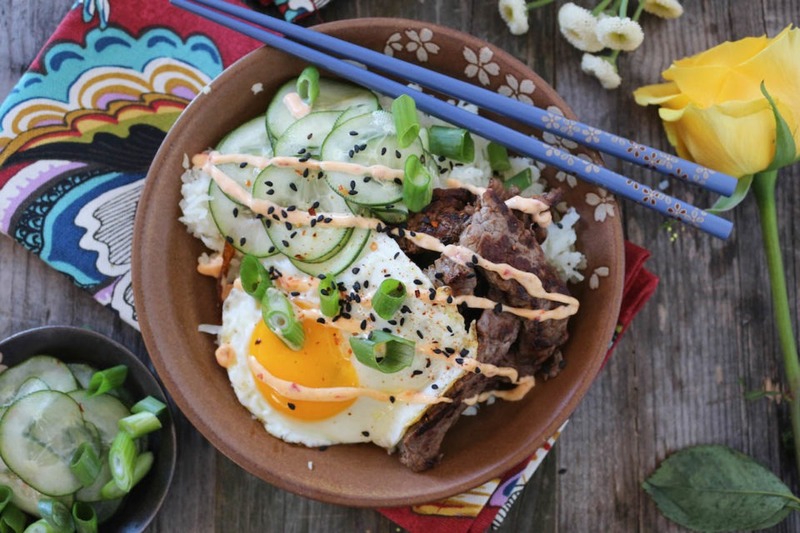 love a healthy twist to one of my favorite Korean dish! Looks delicious! 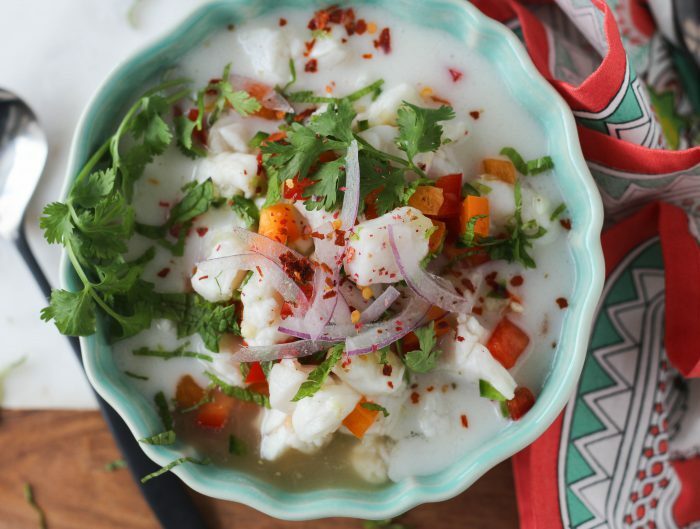 I am doing Whole30, but would love to make this. Could I just eliminate the honey? I freakin love you! My husband and I went out to a food truck yesterday that has delicious rice bowls like these. We loved it, but thought,”I bet we could make our own for a lot cheaper,” and BOOM Juli Bauer has the recipe the very next day. Marinating right now! we must be on the same wave length! Made this for dinner, it was amazing! hahaha i totally read this article last night before even seeing your comment. i just started googling about it and it’s crazy how much was left out of the series. like the part that he would request theresa when calling auto trader and blocked his number when calling her that day. and after finding out he killed a cat right away, i had my doubts instantly. sane people don’t kill animals. Did you think Kayla (the cousin) was lying or telling the real truth on the stand? Made this for dinner tonight for the family. I should have double it. It was inhaled and they were looking for seconds. Da’ bomb! woot woot!! so glad you liked it!! This dish was so delicious! I cook a lot and it was claimed the best dish I have made to date :) Thanks for sharing! Damn girl! We just finished this and it was hands down-straight up one of THE BEST things the hubs and I have ever eaten! I am totally putting that Sriracha Mayo on pretty much everything. 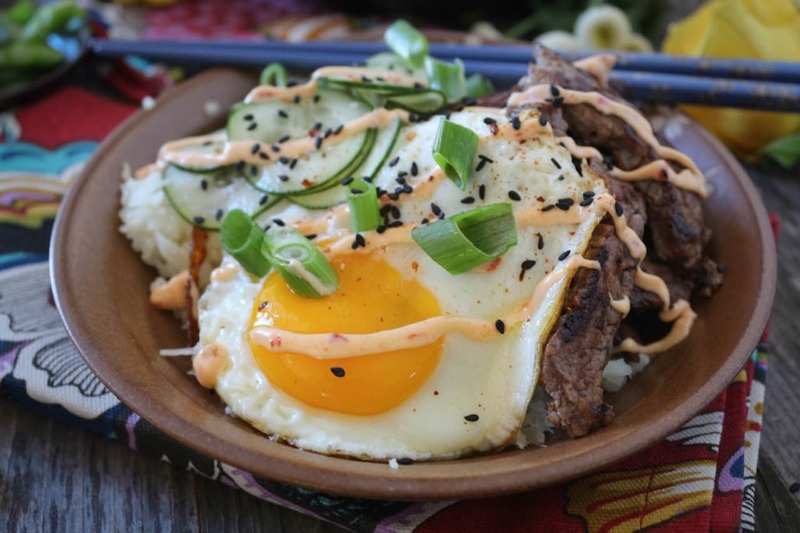 My 19 year old son was skeptical when I handed him his Bulgogi bowl, but then he absolutely raved about this food! Told me it’s a winner and to make it again soon. It was so good. Thank you! awesome!! thanks for trying it out! I made this the other night and it was freaking delicious! That marinade is amazing! As a bonus, it was easier and quicker than I expected. For anyone thinking they don’t have time to let it marinate… my steak only marinated for about 2 hours but it was still super flavorful and tender because it was sliced so thin. Leftovers were also awesome (scrambled with eggs, for breakfast!) Thanks Juli!!! awesome!! glad you liked it, sonya! Holy. Crap. Balls!!! This is AMAZING!!! I made this tonight for dinner with my husband and it was definitely a hit. So much so that I’m even going to make it again for family dinner this weekend with my parents. I’m an Asian food lover but since developing some food sensitivities it’s been a struggle to find yummy options that are close to the traditional. Well you freaking nailed it girly! You’re my recipe hero! Thank you!! awesome!! so glad to hear that you loved it! !